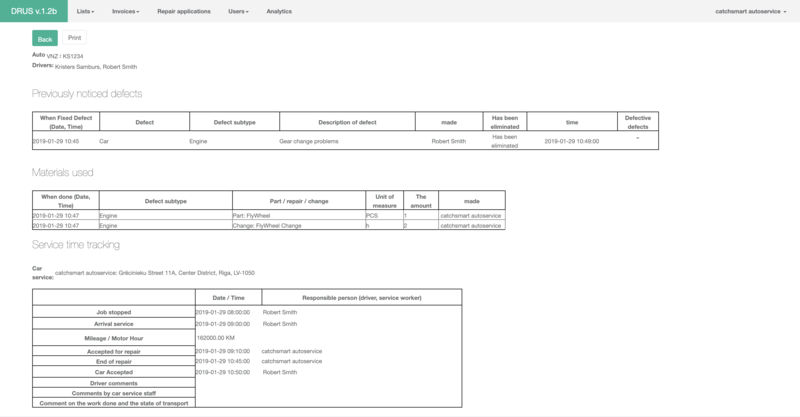 CatchSmart DRUS System tracks all spare parts, costs and time spent on vehicle repairs to reduce paperwork and save your time. Follow financial data in an automatized billing and invoice system. 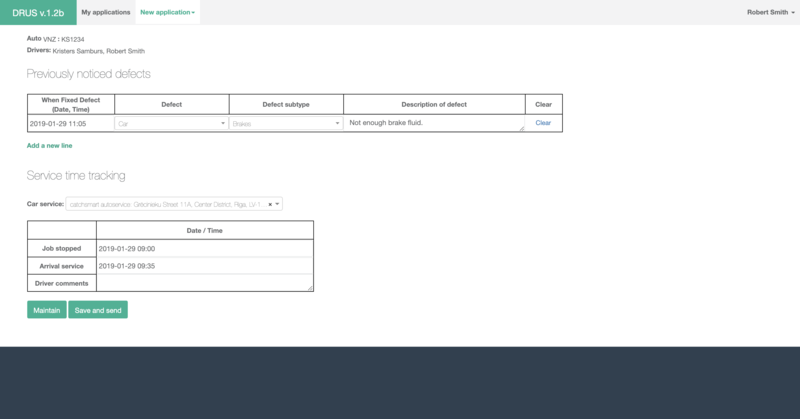 Manage logistic documentation in a precisely structured way. DRUS accounting system frees up your time on every single working day. Fault detection, arrival at the service, beginning and end of repairment - DRUS tracks the whole downtime of your vehicle and shows you where the process could be optimized for efficiency. No matter if you have 10 or 1 000 vehicles, DRUS makes it easy to track all spare part availability, price changes, and warranties. You'll be able to analyze which parts perform better and cost less. DRUS saves time for fleet owners and vehicle services by automatically managing invoices, bills, and receipts online. Afterward, just a few clicks and your accountant will receive the necessary documents. Every minute, when your vehicle is stuck in the service and not moving, costs you potential income. With DRUS you'll be able to spot and eliminate maintenance bottlenecks to increase the uptime of your fleet. No matter where you are, you can access DRUS system and get the data you need instantly from your desktop or smartphone. Assign permission to as many responsible parties as your company needs. Is it possible to integrate DRUS with existing systems? Yes. DRUS software is built to connect with existing ERP, accounting, warehouse systems that your business already uses. 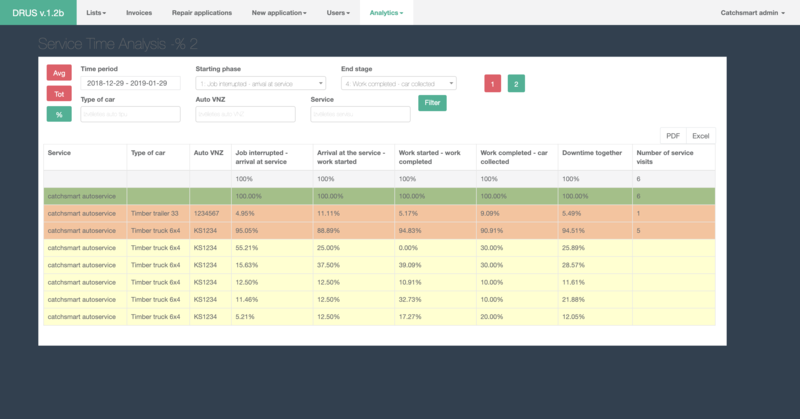 How effective is the data exchange between fleet and vehicle service? All data is transmitted in real time, so all parties will always know the situation without making calls or waiting for replies in the email. What are the basic conditions/constraints for implementing DRUS? The only thing needed is the access to already used systems in your business. All data will be held according to data protection laws. What kind of analytical data can be seen in and exported from the system? The system tracks all time, price, product and action variables. For example, you'll see when a defect has been detected, what's the price of the spare part, how long is the repair process and so on. Everything to make conclusions backed by data. How can employees know how to use DRUS system? DRUS system takes little time to learn and you will receive guidance and all the help necessary once the system is implemented in your business. CatchSmart DRUS is the bridge between fleet owners and repair services. One comprehensive software that makes it for you to track, analyze and improve fleet maintenance, no matter the vehicle type or count. 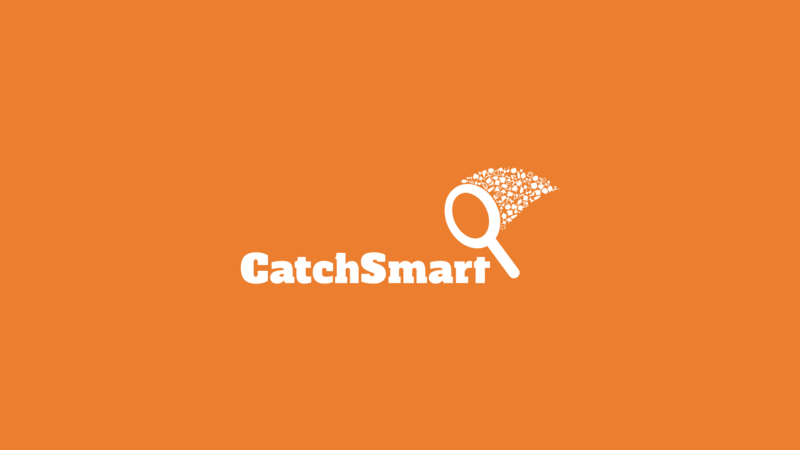 CatchSmart is a data manager for the following websites: https://www.catchsmart.com/en, http://catchsmartsolution.com/ and the subdomain drus.catchsmart.com. If you have any questions about the processing of your personal data, you can send an e-mail to drus@catchsmart.com. 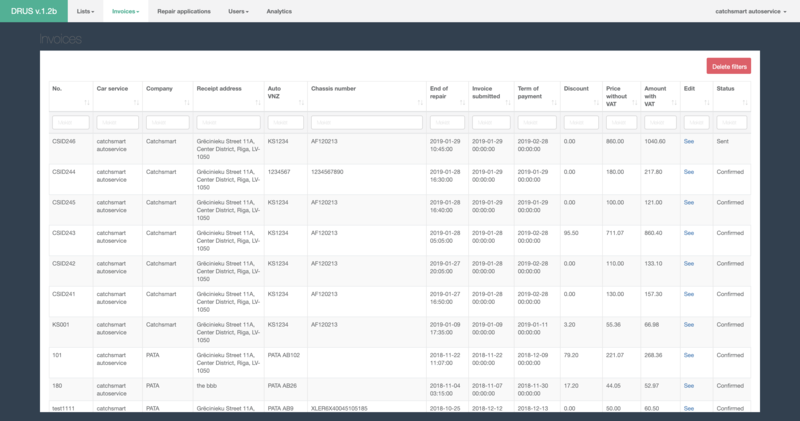 When you push “request a demo” or “see how it works”, “contact us” - the following data are collected: company representative’s name, business email, company name, business type, phone.